Blog ini mengandungi himpunan bahan-bahan daripada pelbagai sumber, termasuk buku, dan juga catatan & pendapat saya untuk tatapan semua. Tujuan utama blog ini diwujudkan adalah untuk berkongsi ilmu dan maklumat dengan anda semua. Ilmu yang berguna eloklah dipanjang-panjangkan. Semoga blog ini berinformasi dan bermanfaat kepada semua yang sudi melayarinya. Diharapkan juga blog ini menjadi wadah untuk bertukar pendapat dan pandangan. Hadis Rasulullah saw: "Sampaikan dariku walaupun satu ayat." Kepada semua penulis asal, blogger atau sesiapa saja yang artikelnya saya petik dan masukkan di sini, saya memohon kebenaran dan diharap tidak dituntut di akhirat nanti. Seboleh-bolehnya saya akan "quote" artikel asal dan sumbernya sekali, supaya apa yang dimaksudkan oleh penulis asal tidak lari atau menyeleweng. Hanya Keampunan & Keredhaan Allah SWT yang diharapkan. Semoga ia menjadi amal jariah buat diriku. Selamat melayari blog ini. Komen dan respons anda dialu-alukan. Sejauh mana Cinta kita kepada Allah??? Sesetengah isi kandungan dalam blog ini mungkin tidak diketahui sumber dan kesahihannya, terutamanya maklumat yang diterima melalui email. Oleh itu, saya tidak bertanggungjawab atas segala isi kandungannya. Terpulanglah kepada kebijaksanaan pembaca untuk menilainya sendiri. Alatan atau kit pertolongan cemas yang asas perlu disimpan di setiap rumah dan di dalam kereta, paling senangnya diletakkan di dalam dompet supaya mudah diambil apabila diperlukan. Anda boleh membuat kit pertolongan cemas sendiri yang mengandungi bahan-bahan asas yang diperlukan semasa kecemasan. Yang pentingnya bahan-bahan tersebut sentiasa disimpan dalam keadaan bersih dan kering, dan juga pastikan tidak melebihi tempoh tarikh lupusnya. Bahan yang telah melampaui tarikh lupusnya hendaklah diganti. Bahan-bahan asas yang perlu untuk pertolongan cemas termasuklah…. Tweezers are an essential part of any first aid kit, particularly if you enjoy hiking or other outdoor activities. The safest way to remove a splinter or a tick is with a clean pair of tweezers. Disinfect the tweezers well before and after each use. 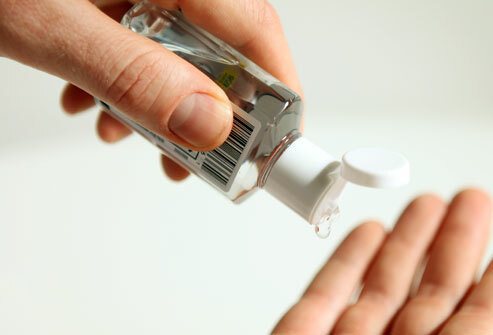 For painful stings or itchy ant bites, consider carrying an anesthetic spray or lotion. These provide quick relief from mild pain and itching. If you or a friend gets injured on the go, the last thing you want to do is tend the wound with dirty hands. Alcohol-based gel or wipes can sanitize your hands when soap and water aren’t readily available. Sanitize before, slip on a pair of latex or non-latex exam gloves, and sanitize again after treating the wound. 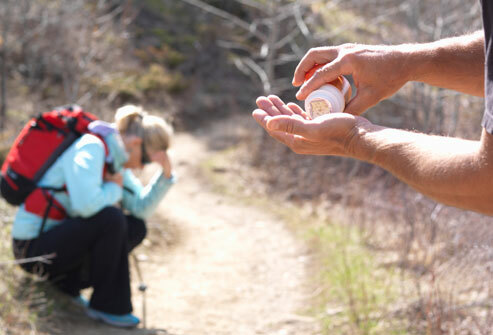 No first aid kit would be complete without medication to relieve pain and bring down a fever. Aspirin, acetaminophen, and ibuprofen are popular over-the-counter pain relievers. Aspirin should not be given to anyone under age 18 because of the danger of Reye’s syndrome. 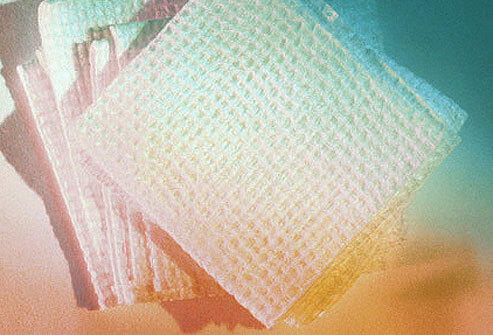 For cuts and scrapes, you can use gauze pads to apply pressure to small wounds until the bleeding subsides. When used with tape, gauze can also serve as a bandage to cover and protect wounds. Adhesive bandages of different sizes can also help protect minor cuts and scrapes. Before you bandage, you’ll want to clean scrapes or wounds. Antiseptic wipes or sprays are handy for cleaning injuries when there’s no clean water nearby. Sterile water or saline, such as contact lens saline solution, is good to have for flushing out eye injuries and can be used on other wounds. Available in small bottles, it can also be easy to pack. 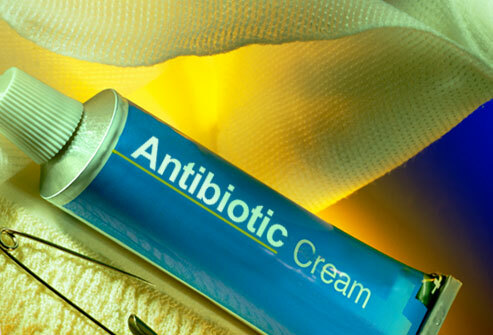 An antibiotic cream or ointment has several key uses. It can help protect minor wounds from infection. It can keep the area moist, which may promote healing. And it can prevent the wound from getting stuck to a bandage. Be ready to counter an allergic reaction to insect bites or stings with oral antihistamines. 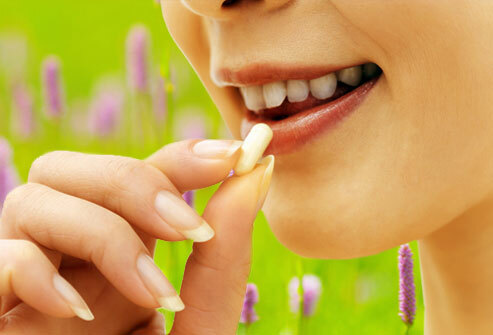 Avoid antihistamine creams because they can worsen the reaction in some people. People with severe allergies should carry injectable epinephrine. 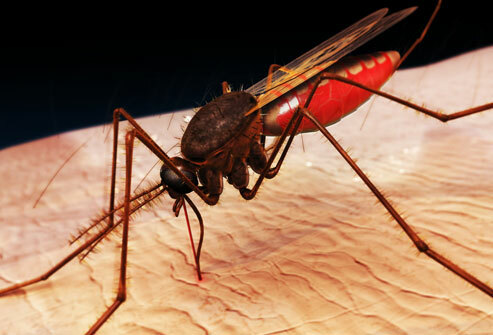 It can save a life in the case of anaphylaxis — a severe allergic reaction to triggers such as insect stings or bites, or food. Once you’ve gathered the essentials for your mobile first aid kit, you’ll need a way to keep them clean and dry. You don’t have to buy a fancy medical bag. A water resistant makeup bag, tool kit, or fanny pack can work well. Kemalangan dan kecederaan banyak berlaku di rumah, terutamanya kepada kanak-kanak dan orang tua. Sesetengah kemalangan & kecederaan ini kalau tidak dielakkan atau diambil langkah berjaga-jaga boleh membawa kepada kematian. Kemalangan dan kecederaan yang biasa berlaku di rumah termasuklah jatuh, tercekik, lemas, terbakar, keracunan dan luka/cedera oleh pisau atau benda-benda tajam yang lain. Beberapa petua/tips dan langkah-langkah untuk mengelakkan kemalangan dan kecederaan di rumah dipanjangkan di bawah ini untuk dijadikan panduan dan dimanfaatkan…. About a third of all injuries happen in the home, and they tend to hit small children and elderly adults most. This guide will help you prevent five common home injuries: falls, choking and suffocation, burns, poisoning, and knife cuts. While these injuries can be serious or even fatal, preventing them generally just takes a little thought and time. Falls are the No. 1 cause of home injuries and death in the U.S., according to the Home Safety Council. The two groups most at risk for falls are children younger than 5 and adults over the age of 70. * Make the bathroom a no-slip zone. Install grab bars and non-slip mats or appliques in the tub or shower. Use a bathmat with a nonskid bottom and clean up any water that splashes on floors right away. * Safety-proof stairs. Remove clutter from stairs and walkways. Stairs inside and out should have handrails, preferably on both sides. Have good lighting over stairs. For babies and toddlers, install hardware-mounted safety gates at the top and bottom of stairs. Pressure-mounted gates are less effective. Gates should have the JPMA (Juvenile Products Manufacturers Association) Certification Seal. Never use accordion-style gates. Put a guard on indoor lofts, landings, balconies, and stair banisters if your child can slip between the posts. Plexiglas is a good option because it bends, is easy to cut, and doesn’t shatter. * Toss the throw rugs. Throw rugs are a big tripping hazard for young and old people. At the very least, tape or tack them to the floor. * Leave a light on. Ideally, have night-lights in bedrooms, bathrooms, and halls. * Make windows safe. New York City cut children’s deaths from window-related falls by a third after requiring window guards. Window screens are not strong enough to prevent falls. Install window guards with quick-release mechanisms (in case of fire) on upper floor windows. Keep furniture away from windows, especially in children’s room, and always watch children around windows. * Know your poisons. It would be easier if every bottle that contained poison was marked with a skull and crossbones, as they are in cartoons. Poisons come in many forms: cosmetics, garden products such as fertilizer, furniture polish, dishwasher detergent, and carbon monoxide from burning fuel. * Buy wisely. Purchase products with child safety lids, whenever you can. * Store safely. Put any product with a warning label up high and in a locked cabinet. 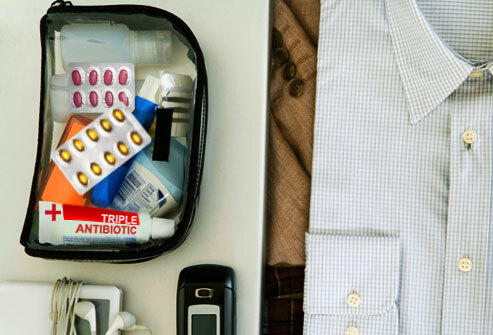 Don’t keep medicines in your purse, pockets, or drawers. Keep products in their original containers. Do not use food containers for storage. * Watch your children. According to the American Academy of Pediatrics, most child poisonings occur when parents are cooking dinner or not watching their children closely for other reasons. * Follow directions on chemical products. Open a window when you are using them. Never mix household cleaning products together — bleach and ammonia mixed together create a toxic gas, for example. * Keep carbon monoxide outside. Have heaters, stoves, and fireplaces checked by a professional every year. Carbon monoxide can also enter the house through an adjoining garage. Never run an engine or car motor or use a barbecue in a garage. * Stay on top of medicines. Follow directions and measure carefully, keep track of when medicines are taken, and put them away right after use. Get rid of expired medicine by crushing or dissolving medications and adding them to old coffee grounds, then place them in a sealed plastic bag in the garbage can. Don’t flush them down the toilet unless the instructions say to do so. Monitor use of medicines prescribed for teens. One of the most important safety rules about knives may surprise you: Always use sharp knives. A sharp knife requires less pressure in cutting than a dull knife does, and your hand is less likely to slip. * Cut correctly. Use the correct size and type of knife for the job you are doing. For example, a small knife is best for trimming vegetables; a long knife for carving meats. Don’t hold something in your hand when cutting it. Use a large cutting board. Curl your fingers under when holding food and cut away from you. Keep your fingers away from the blade. * Keep your eyes on your cutting. It’s easy to get distracted by children, TV, and telephones when preparing meals. * Let falling knives fall. Don’t try to catch a knife. Step back and let it go. * Watch where you put down a knife. Keep knives away from the edge of a cutting board or counter. Don’t throw a towel or napkin on top of a knife so that you can’t see it. Never leave a knife in a sink or soapy water, where someone may reach in without looking and grab the blade. Clean, dry, and put away a knife after you use it. * Store knives safely. Storing knives in a drawer isn’t good for the blades or your fingers. Instead, store knives in a knife block. If you have small children, make sure it’s out of their reach. * Teach children knife safety. Teach children to walk, not run, in the kitchen. Young children can help out in the kitchen using a plastic knife. When they are old enough to handle a real knife, supervise them and teach them the rules for knife safety. Show them how to always carry a knife pointed down (like scissors). Fires and burns are another kitchen hazard and the third leading cause of accidental home injury deaths. Cooking is the main cause of home fires. Have smoke alarms that work. About half of fire-related deaths in the U.S. occur in the 5% of homes that don’t have smoke alarms, according to a 2005 report by the National Fire Protection Association. In homes with smoke alarms where fires were reported, nearly a quarter had alarms that weren’t working. The most common reasons: missing, dead, or disconnected batteries. Install smoke alarms on every level of your home and in or near each bedroom. If possible, get some of each kind of smoke alarm — photoelectric and ionization — or buy combination alarms that have both types of sensors. Equally important, test alarms monthly and replace batteries every six months to a year. Be careful when cooking. Stay near the stove, especially when frying. Use back burners. Roll up your sleeves (never cook with long, loose sleeves) and use oven mitts. Don’t let kids play near the stove or help you cook at the stove. Slide a lid over the flame to put out small stove fires. Don’t neglect maintenance. Have the wiring in your home checked by a professional electrician at least once every 10 years. Chimneys, fireplaces, furnaces, and wood and coal stoves should be checked once a year and cleaned, when necessary. Use common sense. Although it may seem like a no-brainer to store matches and lighters in a locked cabinet or at least well out of reach of children, many children are badly burned each year from playing with them. Other simple, commonsense tips: Cover electric outlets within children’s reach, get rid of frayed or damaged electrical cords, keep space heaters at least 3 feet away from flammable objects, blow out candles when your leave a room, unplug irons and curling irons when not in use, and put them out of children’s reach. Be safe if you smoke. As if there weren’t enough health risks tied to smoking, smoking and smoking-related materials are the main cause of fire-related deaths at home. If you smoke, use fire-safe cigarettes, smoke outside, and douse cigarettes and cigarette butts in water before dumping them in the trash. Better yet, quit. Be prepared for a fire. Keep a few fire extinguishers in strategic locations and know how to use them. Consider having a sprinkler system installed if you have a new home. Do a monthly fire drill with your family, practicing how to escape. Teach everyone in the family how to “stop, drop, roll, and cool” if clothes catch fire: Drop immediately to the ground, cross hands over your chest and roll back and forth to put out the flames, and cool the burned area with cool water. Children under the age of 5 are most at risk for these injuries. Sixty percent of nonfatal choking episodes that wind up in emergency departments are related to food (and 20% of these are related to candy). * Do the “toilet tube” test. Babies and toddlers like to put things in their mouths. Anything that can fit through a toilet tube — coins, marbles, buttons, jewelry, uninflated balloons — is a choking risk. Keep items that don’t pass the test away from children. * Do house checks often. Look under beds, on top of shelves, and in between sofa cushions for stray bottle caps, nails, safety pins, erasers, refrigerator magnets, broken crayons, and other small items that are choking hazards. * Watch your children at mealtime. Teach children to chew and swallow their food before talking, laughing, or getting up to move around. Ideally, children under 4 years old should not eat small, round, or firm foods unless they are chopped completely. Foods such as hot dogs, carrot sticks, and grapes should be cut them into very small pieces. Food with seeds or pits, nuts, hard candy, and chewing gum can also be choking hazards. * Help baby sleep safely. Baby cribs should hold only one thing besides a mattress and snugly fitted sheet: baby. No pillows, toys, comforters, or blankets. Always place babies to sleep on their backs. Make sure there are no ribbons or strings dangling above or in the crib. All spaces between the bed frame and the headboard, footboard, or guardrail should be less than 3.5 inches wide. Slats should be no more than 2 3/8 inches apart. * Keep strings out of sight. Remove drawstrings from children’s clothing. Tie up window cords well out of children’s reach. * Be vigilant about plastic bags. Get rid of dry-cleaning and shopping bags immediately. Keep household plastic bags out of reach. * Be toy smart. When buying toys, follow the age recommendations on the packaging. Check toys frequently for loose or broken parts. Take squeakers out of squeeze toys because they are also choking hazards. E100, E110, E120, E140, E141, E153, E210, E213, E214, E216, E234, E252, E270, E280, E325, E326, E327, E334, E335, E336, E337, E422, E430, E431, E432, E433, E434, E435, E436, E440, E470, E471, E472, E473, E474, E475, E476, E477, E478, E481, E482, E483, E491, E492, E493, E494, E495, E542, E570, E572, E631, E635, E904.